5 Tips For A First-Time Car Buyer | For the Joy of Life. We bought our first car just over a year and a half ago. It was something I knew was coming later on in the future, but definitely didn't expect to do right then and there. We were driving a car that belonged to Hunter's dad when we first got married. It did what we needed it to and he was happy to let us use it while Hunter was in school. Then, the unexpected happened and he passed away really unexpectedly. As a result, that car was no longer ours. Suddenly we were thrown into purchasing a new car for the first time and saying we were lost, nervous, and confused would be an understatement! So, here's some advice we have to someone purchasing a car for the first time. 1) Set a Budget! This was key for us. We knew we wanted to stay at or around a certain budget and that helped us stay firm when talking to pushy car salesmen. I can't tell you how many times we walked away from a dealership just because they were trying to get us to go above our budget. We sat down and considered gas, maintenance, insurance, and the car payment and found were able to figure out what we could actually afford. 2) Do Your Research! After setting a budget, it was time to actually look for a car! Neither of us really knew much about cars and to be honest, we had no clue what we were looking for in a car. Looking on Cars.com is a really great resource for first-time car buyers. It is one of the largest digital automotive platforms with tons of trusted information about all sorts of cars. 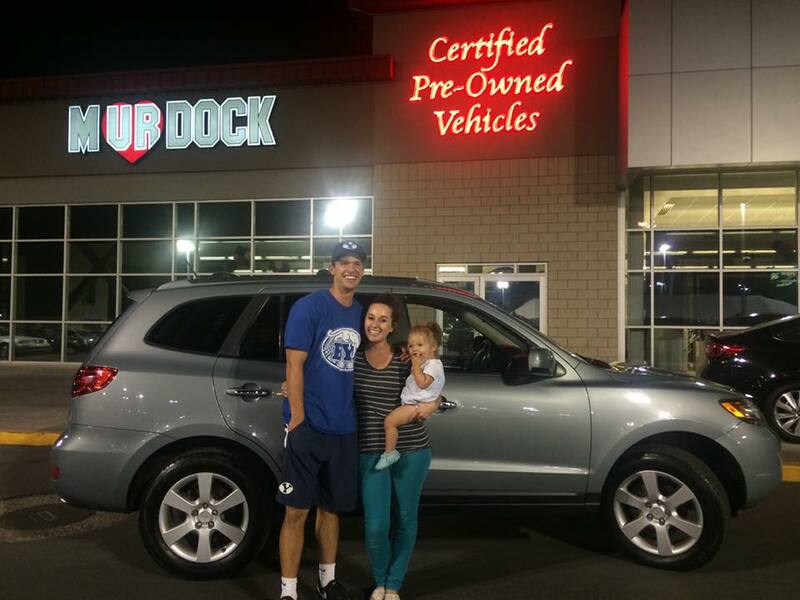 You are able to research and then find a car that will fit you and your family best! 3) Phone a Friend! We kept trying to do it all on our own until we finally realized it might be best to ask what others thought. I talked to my dad and my husband talked to his brother and we felt a whole lot better after talking to them. They were able to offer insight we didn't think of and let us know what the car buying process is like before we went through it. Talking to someone we respect and love really helped us feel comfortable. 4) Ask a Million Questions! When it comes to this big of a decision, don't be afraid to ask all sorts of questions. There were a few car salesmen that I knew weren't going to give me straight answers and that made it very clear to me that I didn't want to buy a car from them. When I went to Hyundai and put my research to the test, I loved that they gave me clear answers and were very helpful. 5) Test Drive the Car! So you like the car from the outside, but how do you like actually driving it?? I really liked our car at first glance. We looked at the inside, the outside, and I really honestly liked it. However, it wasn't until Hunter and I both drove it that we realized we really wanted it. It felt smooth, we liked how Oaklyn fit in the back seat, we liked that we were higher up, and it had a clean interior. Looking back, I wish I would've driven that car how I actually do now instead of being extra careful while test driving it ;) But seriously, drive it how you really will be driving it to see if you really like how it feels! Alright, those are my top 5 tips for being a first-time car buyer! What are your best tips?